Due to flight delays, unfortunately Jonathan was not able to join co-star Natalia Vodianova on the red carpet for the Paris premiere of ‘Belle du Seigneur’ today as planned. The film debuted as part of the Champs Elysees Film Festival. 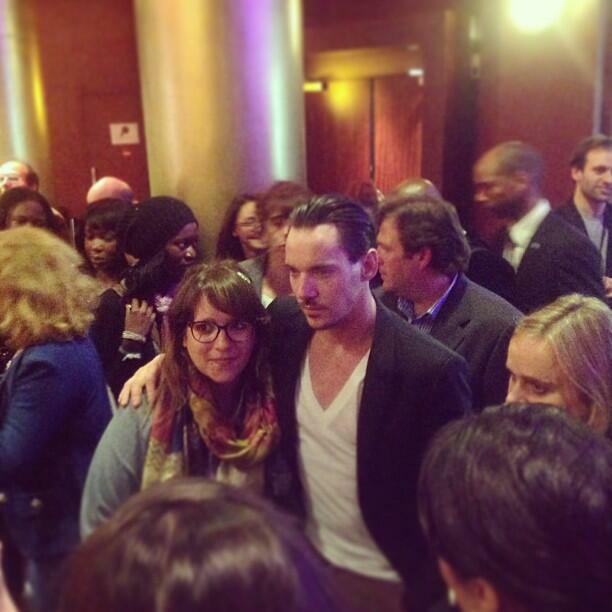 However, Jonathan was able to make it for the end of the screening. He spent almost an hour outside signing autographs and posing for photographs with the lucky fans who waited so long to see him. Thanks to the film festival for sharing photos, 6 images have been added to the Gallery. More will be added as they pop up.